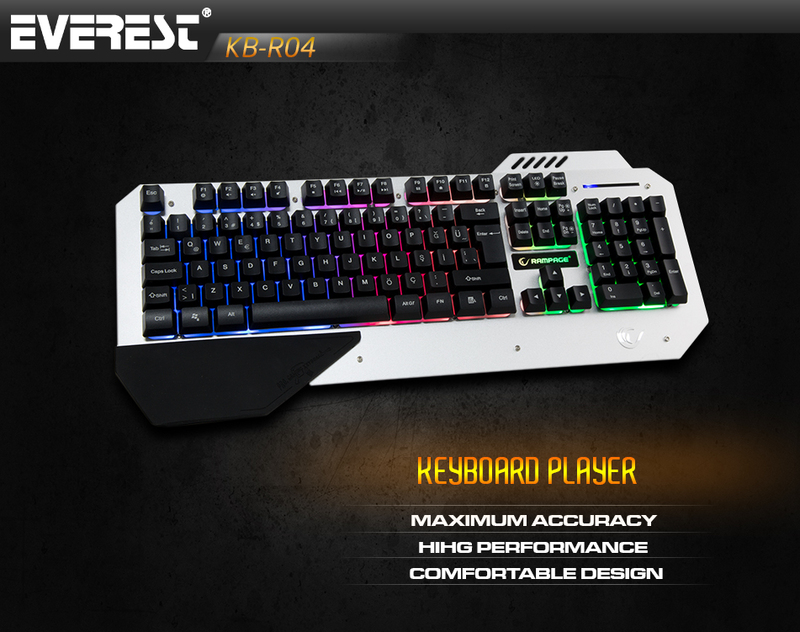 Everest Rampage KB-R04 Black USB Backlight Gaming Q Multimedia Keyboard; Everest growing day by day as the certifier of several successful computer accessories in the world, Gamer are also not ignored. 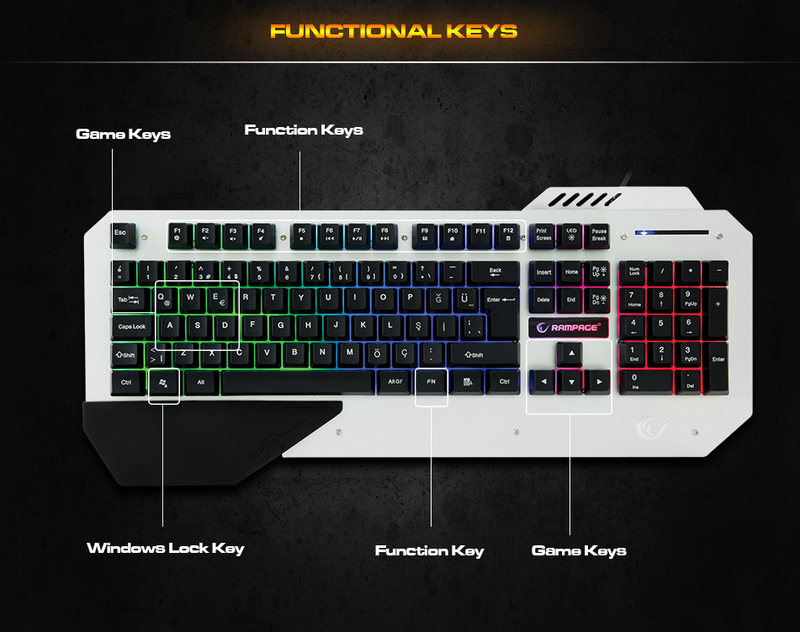 Rampage keyboard KB-R04, gaming keyboard has a classic view from the outside. During the game, the players are fully enjoying the games that are designed considering the candidate to be your essential and durable construction with metal case. Everest Rampage KB-R04 Black USB Backlight Gaming Q Multimedia Keyboard; All operation will be managed from one place through functional keys. You will have no problems while playing games with windows lock key. Everest Rampage KB-R04 Black USB Backlight Gaming Q Multimedia Keyboard; According to long-time use comfortably designed with care so as not to strain your hands. 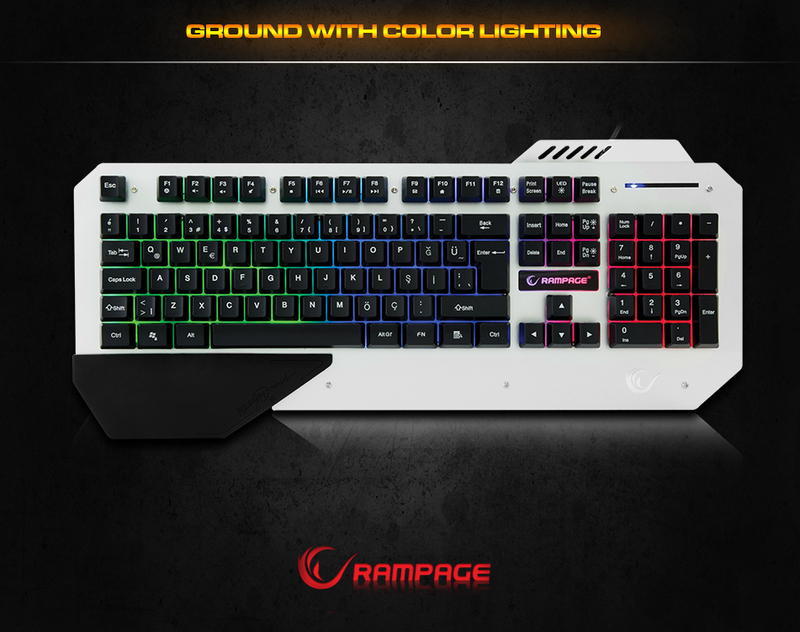 The stylish and compact design makes the Rampage KB-R04, it has been designed in the most appropriate format for you to enjoy the game with long-term use. Left lower corner a pad which is designed for support your wrist. 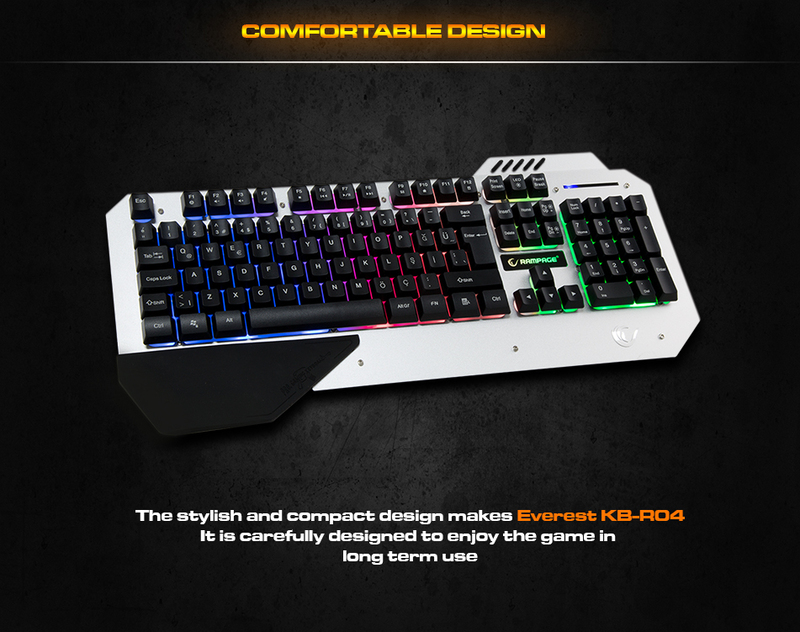 Everest Rampage KB-R04 Black USB Backlight Gaming Q Multimedia Keyboard; You can play comfortably at night and low light conditions with floor lighting which are designed in the style of the rainbow. This is due to the special floor lighting design aesthetically pleasing design and giving an excellent view, you have to increase your joy of playing the game.